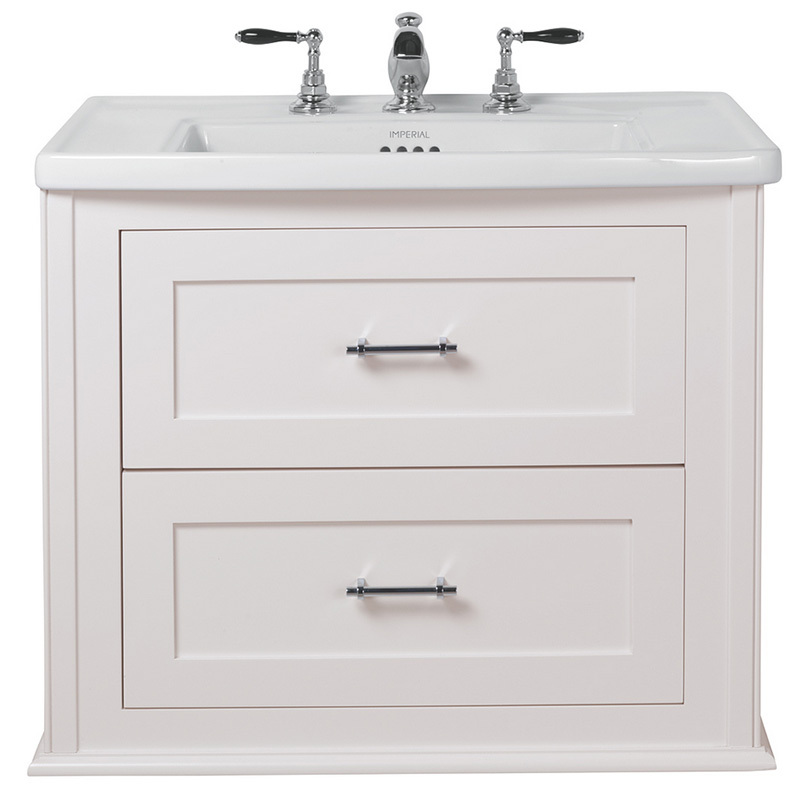 Blending classic period design with handy bathroom storage, this Radcliffe Thurlestone Wall Hung Vanity Unit makes a stylish and practical addition to any bathroom. 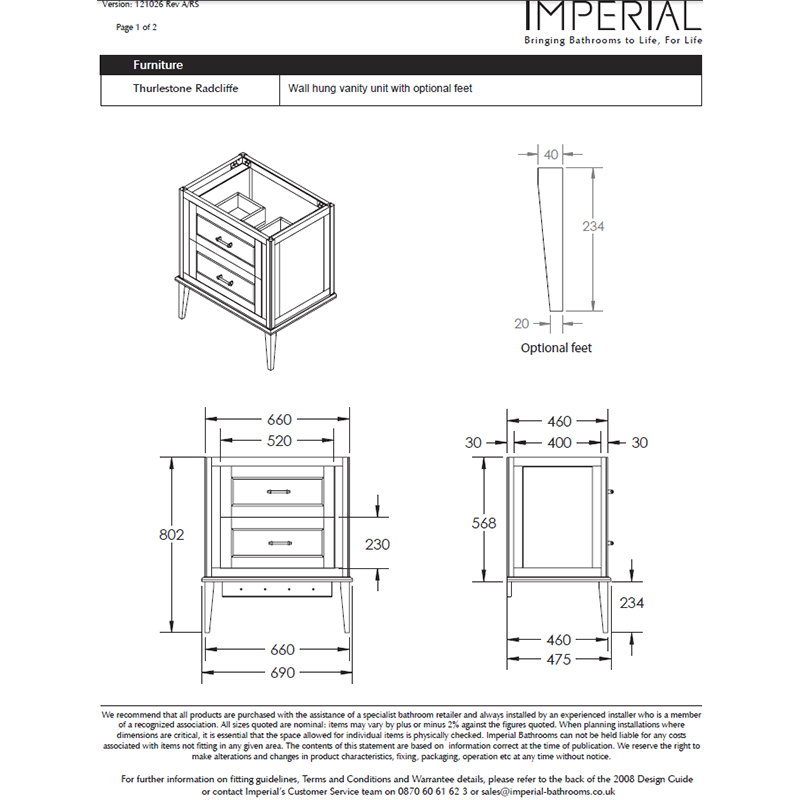 This traditional wall mounted vanity cabinet comes in eight beautiful finishes and makes the perfect home for those bathroom essentials within the two spacious drawers. 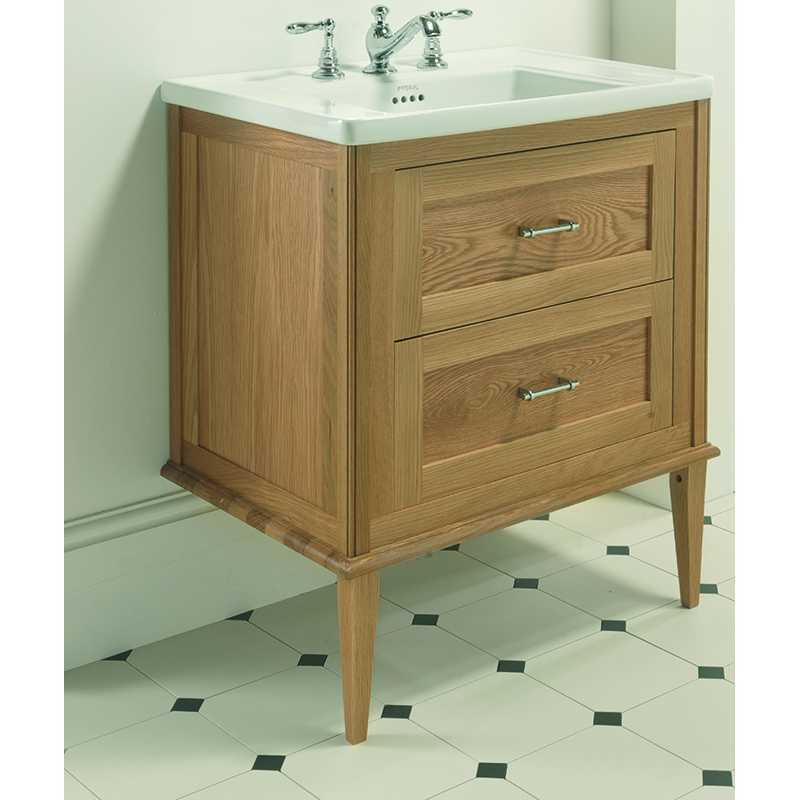 The matching ceramic Radcliffe Vanity Basin is also supplied along with optional front wooden legs.